Sun's out, and it feels like summer in Belgium. But we also know that sun can damage skin and hair. 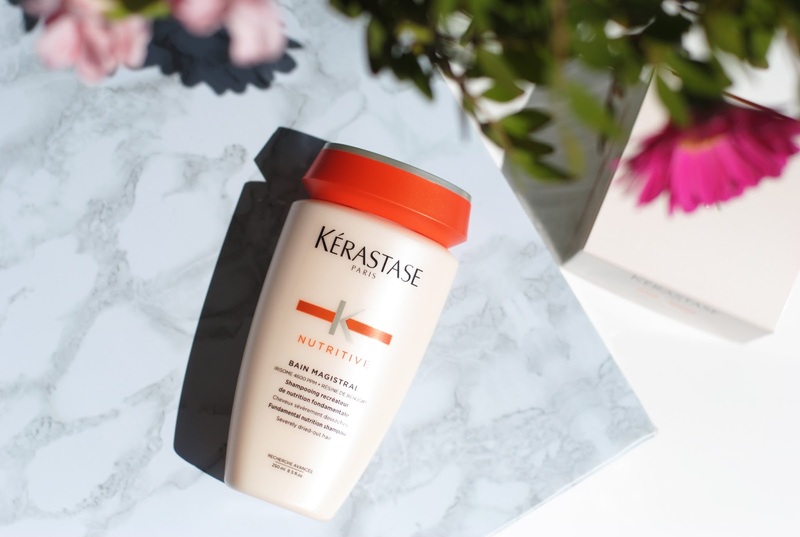 Kérastase just renewed their Nutritive line, so that came right in time! 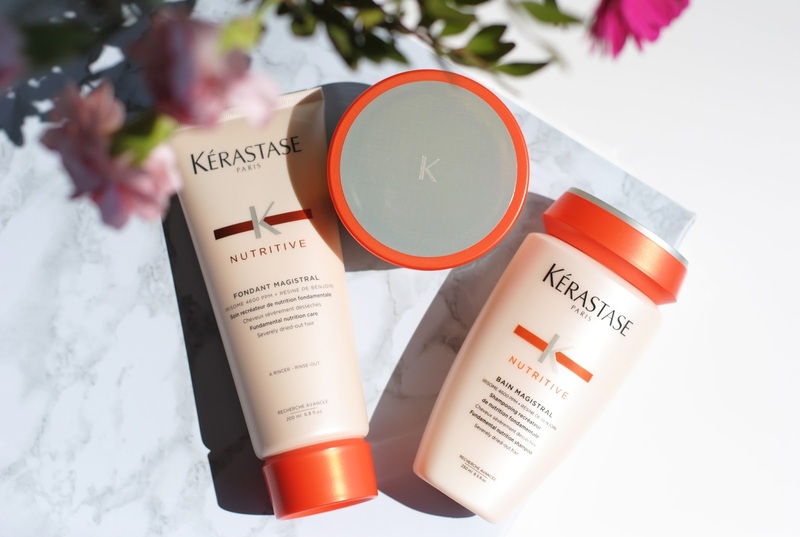 Today I'm telling you more about 3 products from the Nutritive Magistral line, for very dry hair. 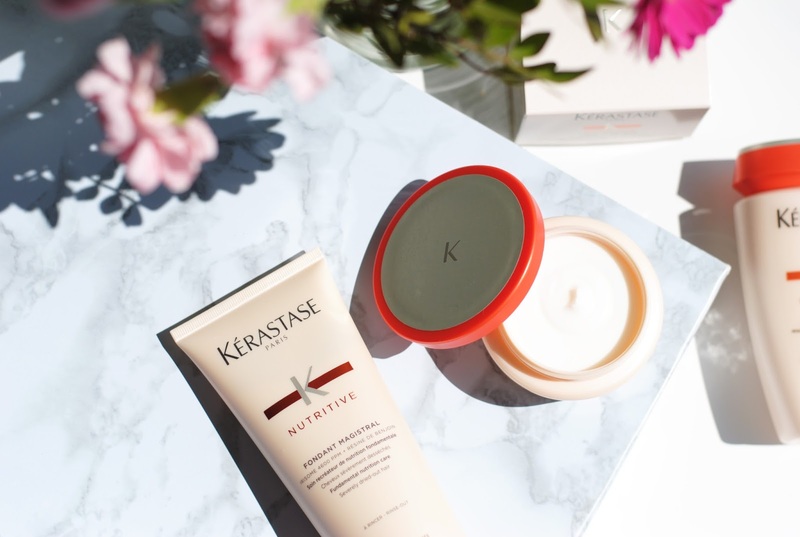 The new Nutritive line has a new look, but we already know this look - we've seen it on other Kérastase products. This collection combines a beige peachy hue with orange. What's very interesting is that these new bottles are lighter and because of that and the new shape of the caps 45.000 kilos of plastic are left out. Also 25% of the material used is recycled (an extra 30.000 kilos economized). 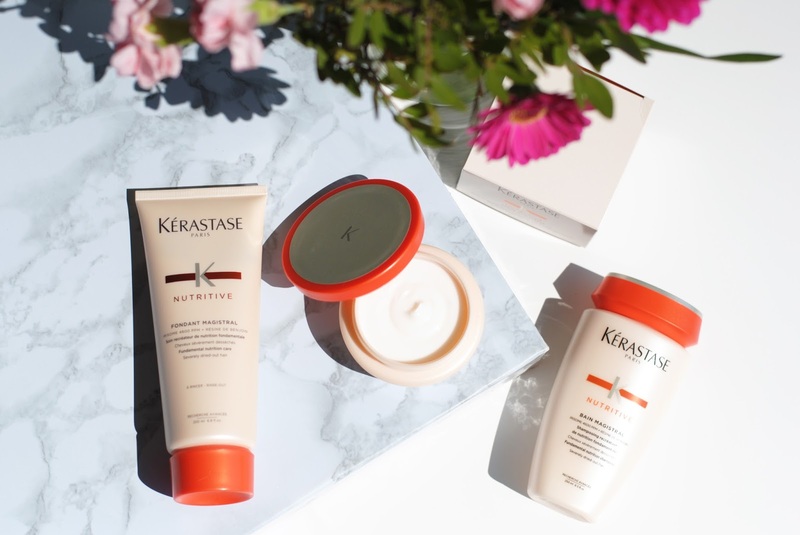 All Kérastase products smell good, and they actually describe the scent of this line as 'Beauty Dream'. Because it's fresh, light and soft - just like a dream. 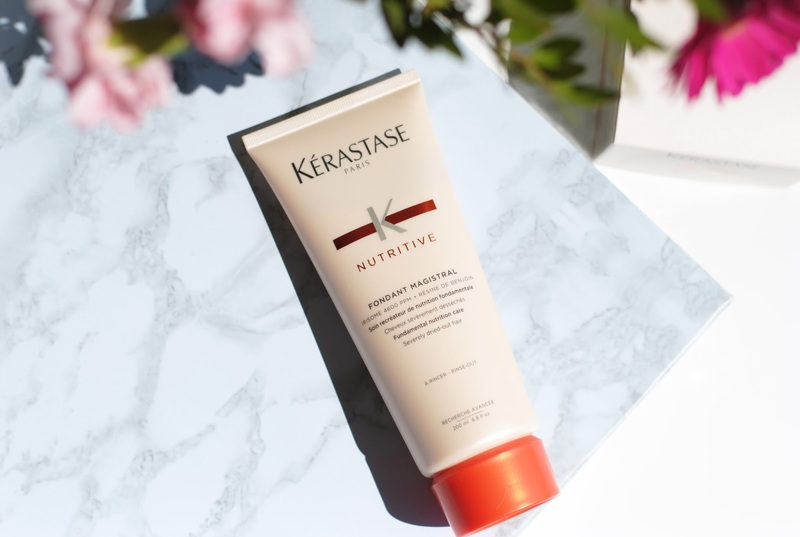 There is another line for dry hair, called Nutritive Irisome. But the Magistral line is for severely dried out hair. It makes hair more supple and vibrant. The key ingredients in these products are: Irisome 4600 ppm, glucoactive, benzo wax, ceramide and xylose. Bain Magistral is the shampoo, it removes filth and nourishes and detangles the hair. The shampoo needs to be massaged in and then rinsed out. The fondant is a conditioner that you have to leave in for about 2-3 minutes. It nourishes the severely dried out, fine hair. The packaging says that you can apply it on towel dry hair, but I just use it on wet hair after my shampoo, like a normal conditioner under the shower. 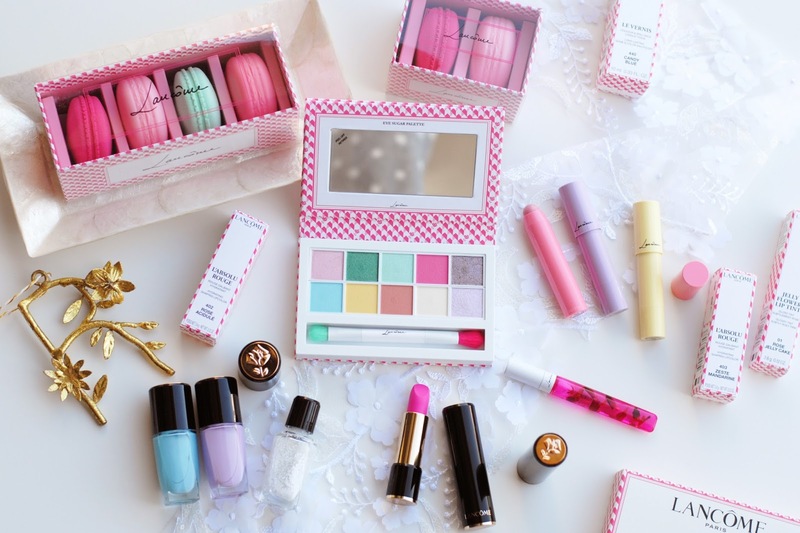 At first I thought the crème magistral was a mask (yay, I love masks! ), but it's not. 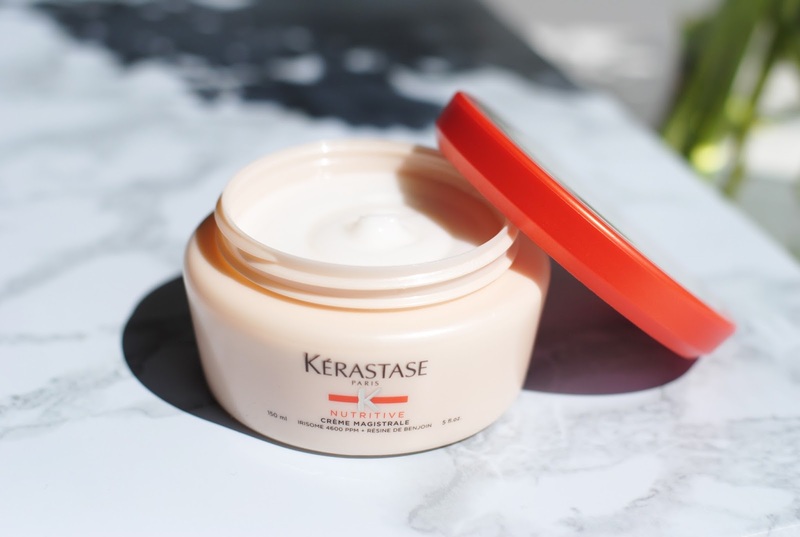 There is a mask in this line though, but crème magistral is actually a nourishing balm. You have to apply it on (towel) dry hair and just leave it in for extra softness and shine. It also contains xylose, an ingredient that is known for its thermo-protection function. There are 2 ways that I used this: before blowdrying my hair and I also used it as a night mask for my hair, in the morning I rinsed it out. I can only recommend this for the girls who's hair is severely damaged, it will give a very noticeable effect - hair will look so much more shiny and supple. 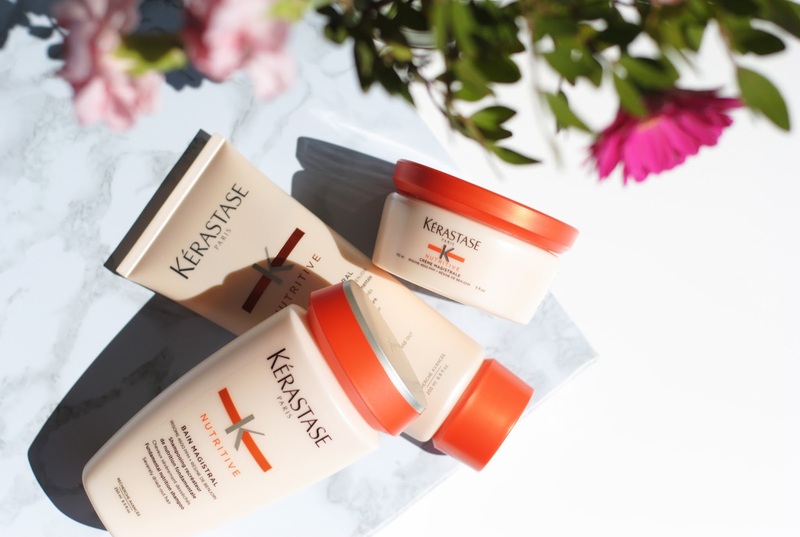 Kérastase is a luxurious, professional brand and they have the right products for almost any hair type. 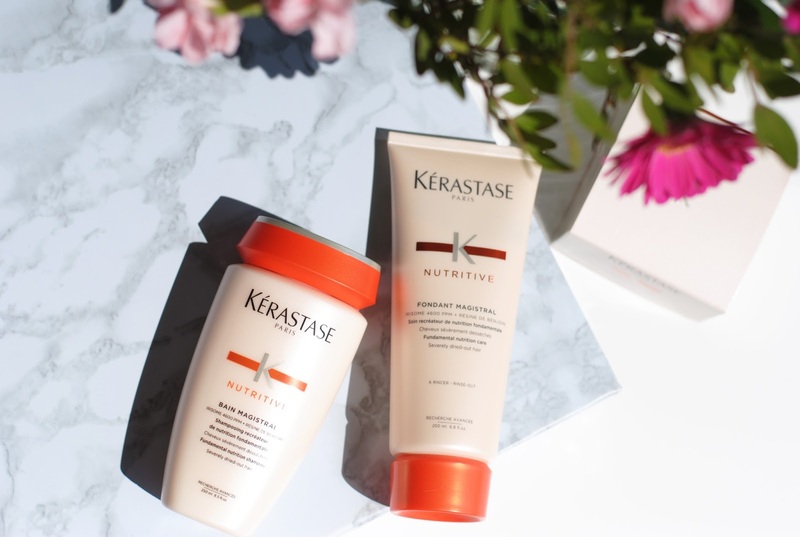 For dry hair there is the Nutritive Irisome line and for very dry hair there are these lifesavers. 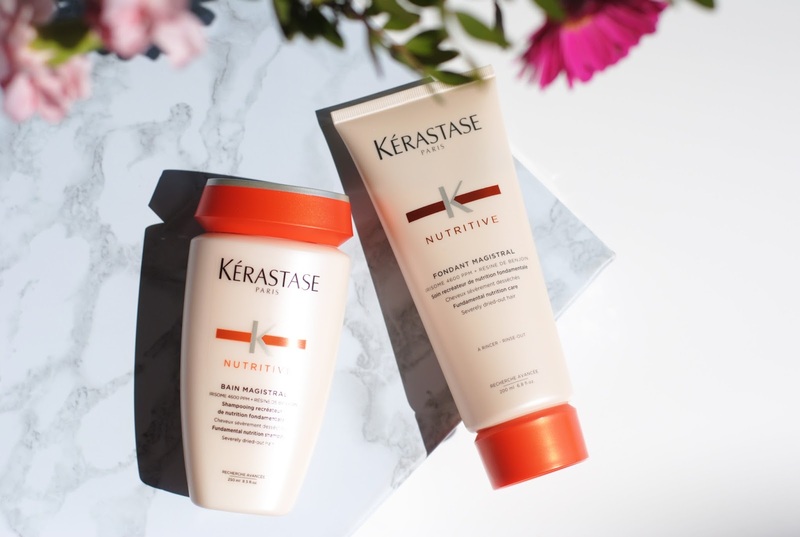 These products gave my hair more shine and made them feel softer, but these might be a bit 'too much' for my hair, because it's not that dry. I think I will be using these once or twice a month for example, to give an extra boost to my hair. Especially during these summer months. 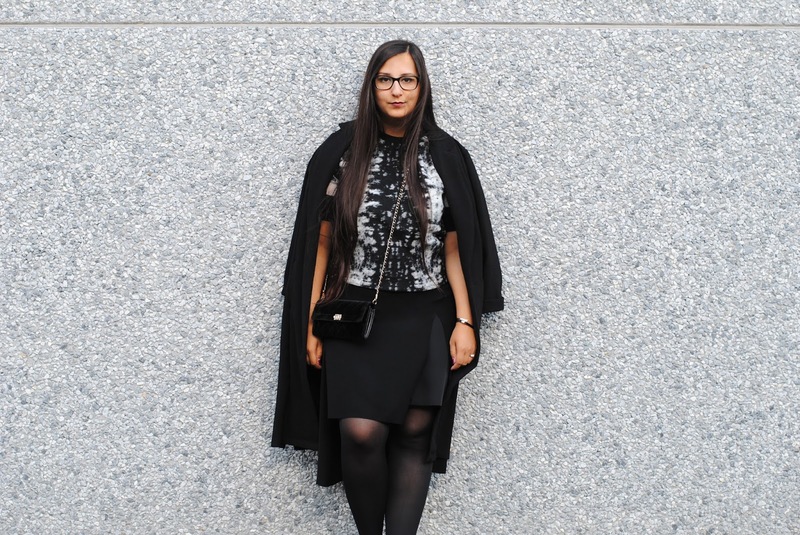 Do you have dry hair? What products do you use? 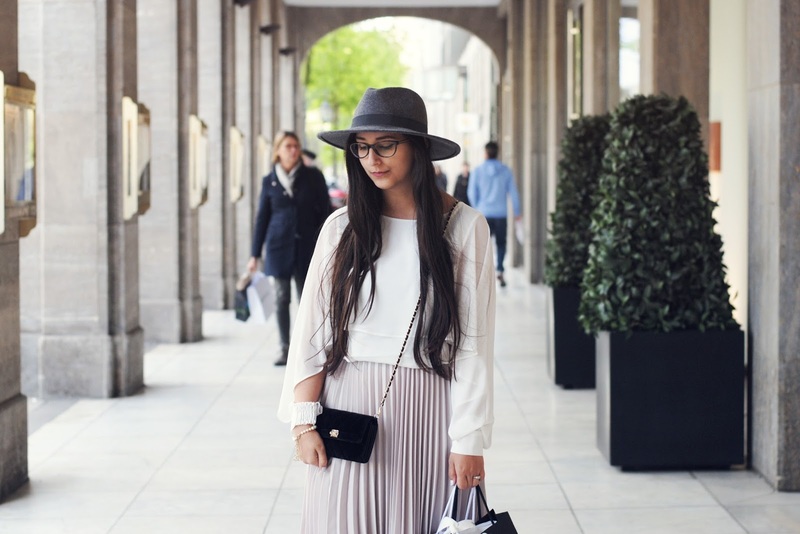 Your pictures are really beautiful! 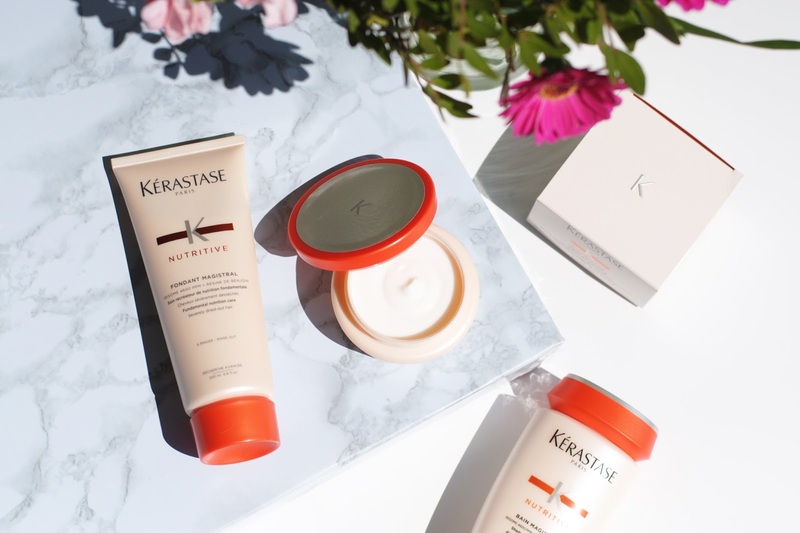 And Kerastase always has great products! 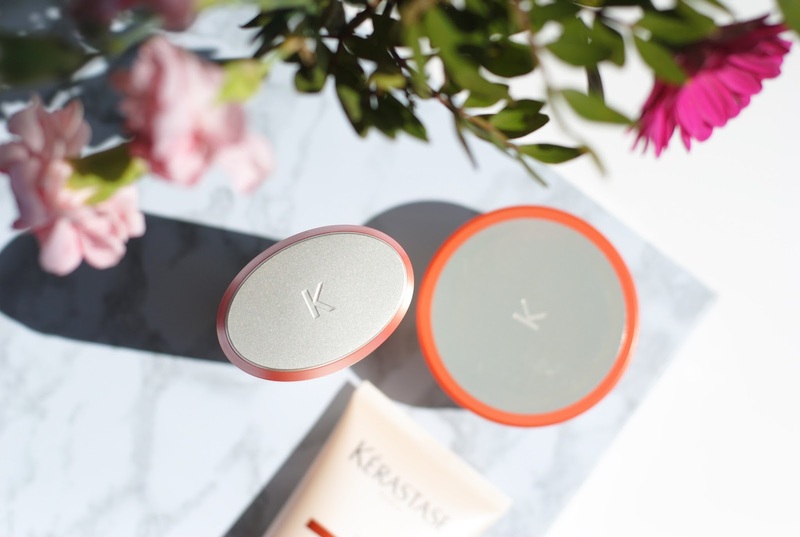 I don't think they're right for my hair, but I am a Kérastase fan. Jaa, het voelt echt als zomer! Goed om je haar extra te beschermen.